Wedding Cards Maker Software create stylish marriage invitation card for inviting your friends and relatives with your own design handmade card. 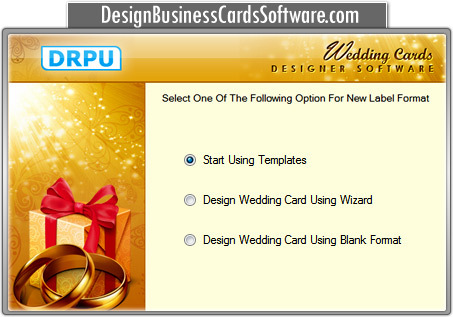 Software provides facility to design wedding card using predefined templates and icons. Marriage invitation card designing application provides color and background setting feature to create colorful wedding card in simple manner. Wedding card maker software provides image designing objects like line, pencil, rectangle, ellipse, circle and various others for creating marriage cards. Wedding card creator application generates traditional marriage invitation card with option to email designed cards at user specified email ID. Generate wedding invitation card of any size or shape such as rectangle, rounded rectangle, ellipse, circle etc. 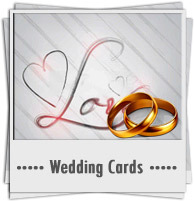 Card maker application provides advance facility to add image from library while designing wedding card. Advance color and background settings: Wedding card designing utility provides inbuilt color and background settings to create colorful wedding cards. Create wedding cards in various shapes: Wedding Card creator software empowers you to design cards in different shapes including rectangle, ellipse and rounded rectangle. Image designing Objects: Wedding card maker software designs marriage invitation card using various image designing objects including line, text, pencil, picture, rectangle, ellipse, arc etc. Email wedding card: Wedding card maker software provides email settings to send designed cards via email. Print designed cards: Wedding card creator tool facilitates to print designed marriage invitation card in multiple numbers.